The third reboot of one of Japan’s most famous and successful franchises, and the 31st installment in the series was meant to be one of the greatest. Allocating a rather large budget (US$15 million) and tasking Hideaki Ano, director of “Evangelion” and Shinji Higuchi, director of “Sinking in Japan, and special effects director of “Gamera”, and one of the top special effects supervisors in Japan, with the film’s direction, it was evident that Toho was not about to leave anything on chance. 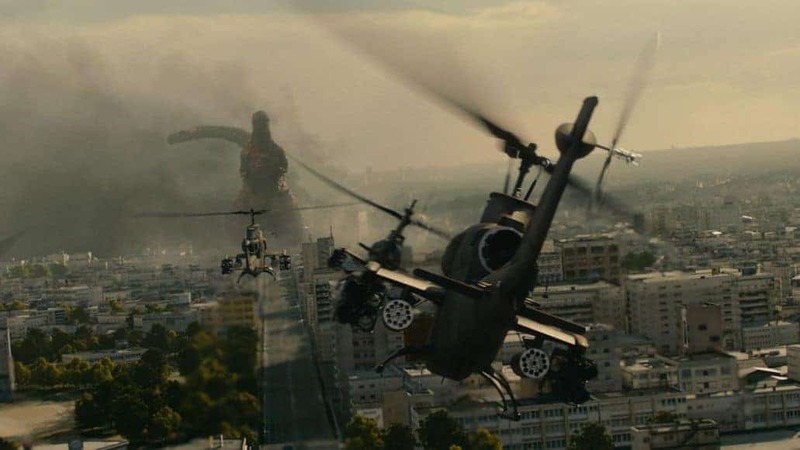 The result was hugely successful, since “Shin Godzilla” was the highest-grossing live-action Japanese film of 2016 and is the highest-grossing Japanese-produced Godzilla film. Furthermore, it received 11 Japan Academy Prize nominations and won seven, including Picture of the Year and Director of the Year. The film follows the regular script of the franchise, as an unknown, gigantic creature appears in Japan from the sea, wreaking havoc as it moves through Tokyo. The Japanese government is tangled in the nets of bureaucracy, and the top officials, including the Prime Minister, are reluctant to act. Furthermore, they soon realize that the creature, now named Godzira (the Japanese version of the name), is emitting radiation, and that it is transforming, becoming even bigger in the process. Eventually, Rando Yaguchi is put in charge of a special task force to investigate the creature and to find ways to stop it. The initial attacks by the JSDF have no effect on it, while the US government, which seems to have its own agenda, sends Kayoko Ann Patterson as a special envoy to deal with the situation. As a nuclear attack falls on the table, Yaguchi and his team must find a way to stop Godzira before the catastrophe spreads all over Japan. Hideaki Anno directs a very different Godzilla movie, with the help of Shinji Higuchi, who is also responsible for the outstanding special effects. The film has a very fast pace and very sharp editing, as the setting changes constantly, and the presentation looks like a news broadcast on TV. In that fashion, and by presenting the consequences first, Anno manages to build the tension before the monster appears. Furthermore, through the transformations (each one is more impressive that the last), he manages to retain the agony for quite some time. In that fashion, when Godzilla eventually appears in its full form, the impact is huge. The acting moves in the same lines, with the actors talking in the same, rapid and brief way the scenes change, with the tactic as a whole, highlighting Atsuki Sato and Anno’s work in the editing department. The cast features a plethora of impressive names, that includes Ren Osugi as the PM, Akira Emoto, Jun Kunimura, Kengo Kora, Pierre Taki and even Shinya Tsukamoro as a biologist. The protagonist is Hiroki Hasegawa, although the film does not focus on any character particularly, with Anno trying to fit as many recognizable faces as possible, with the general tactics described before “servicing” this purpose quite nicely. Gorgeous Satomi Ishihara as Kayoko and eccentric looking Kikako Ichikawa as a scientist of the Ministry of Environment provide a necessary relief from the testosterone that seems to permeate the cast. The special effects team has done superb work on both the design and the movement of the monster, while the destruction scenes are more impressive than ever, as is the case with the hopeless efforts of the army forces to stop the monster. The film also works on another, more meaningful level, since it is filled with sociopolitical comments. The association with the 3/11 earthquake, the Fukushima disaster, and the atomic bomb, the way the government works and the efficiency of the state machine from top to bottom are the most obvious, along with the role the US government plays in global affairs, particularly the ones involving Japan. Furthermore, Anno also comments on the Imperial Army, the faults of the intellectuals, particularly regarding the famous ones and their inability to act fast in fear of ruining their status, the superiority of thinking and science compared with violence and war (scientists and army if you prefer), the blights of nuclear energy, and human nature. These comments are very brief, and derive just from a line or two in different scenes, with the film demanding utmost attention in order to realize and appreciate them all. “Godzilla Resurgence” is a great mainstream film, and probably the most meaningful, visually impressive, and well directed entry in the series.